whether live or in the studio." 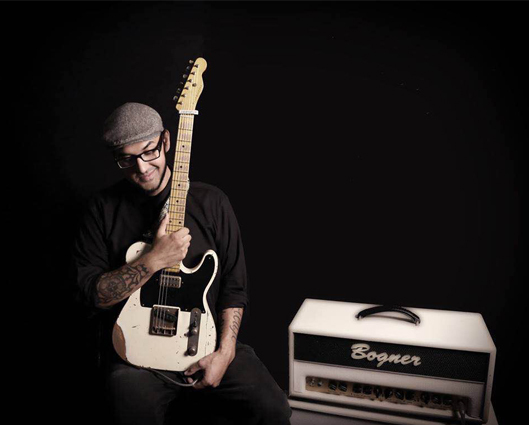 Rod Castro is a Los Angeles-based session guitarist, composer & songwriter. Rod has written and recorded music for tv shows including X-Factor, America's Got Talent, Little Big Shots, Gene Simmons Family Jewels, L.A. Ink & 90210. Rod currently composes for Hans Zimmer's custom music shop Bleeding Fingers. Rod is also the session guitarist for Skip Saylor and has recorded/written & performed with artists including Tyga, Macy Gray, Wanya Morris of Boyz II Men, Raphael Saadiq, Bian Liunian, Dina El Wedidi, Meklit Hadero, Snoop Dogg, Elliott Yamin, Fishbone, Machine Gun Kelly, Daniel Bedingfield, Multi-Grammy award winning arranger/composer David Campbell, Bobby Brown, Ralph Tresvant, Johnny Gill, Zapp Troutman, E-40, Too $hort, and Bootsy Collins. Rod also records and writes with producers Brian Alexander Morgan (Drake & Eric Benet), Dan Wilson (Phantogram, Weezer, Adele & Taylor Swift) & John Avila (Oingo Boingo).